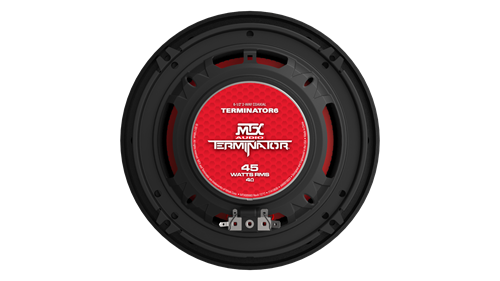 The TERMINATOR6 is a 6.5" coaxial speaker that is capable of handling up to 45W RMS power and has a 4Ω impedance. 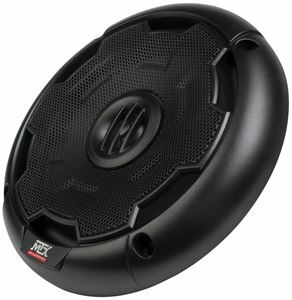 The unit includes a durable steel basket, polypropylene cone, and silk dome tweeter. The TERMINATOR6 is a 6.5" coaxial speaker that is capable of handling up to 45W RMS power and has a 4Ω impedance. The unit includes a durable steel basket, polypropylene cone, and silk dome tweeter. 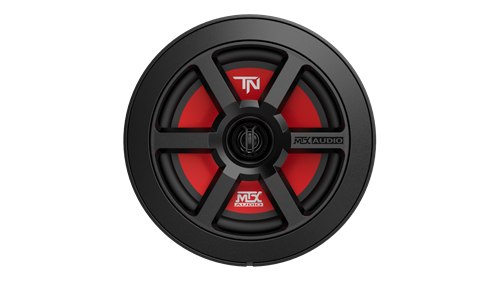 The polypropylene woofer and silk tweeter are engineered to reproduce high quality sound for any type of music. 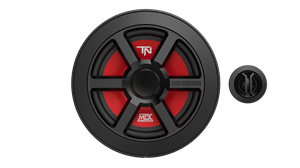 The TERMINATOR6 utilizes a point source tweeter design that recesses the tweeter flush with the woofer cone. This design increases sonic accuracy as the sound waves from the tweeter and woofer do not intermix causing distortion. 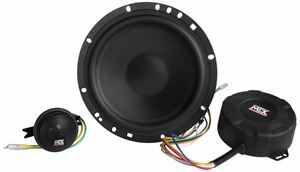 The point source tweeter also enables the speaker to have a shallower mounting depth making it usable in more applications. 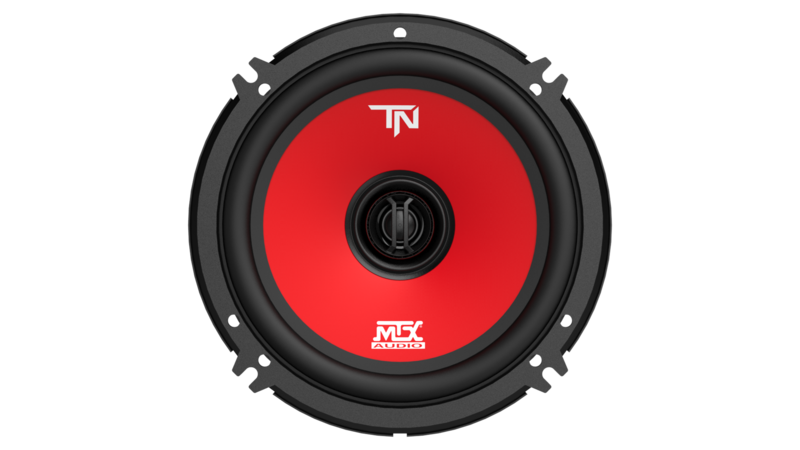 The TERMINATOR6 features a red cone that looks great in any interior. The removable grille incorporates a trim ring that makes all mounting screw heads invisible once installed. 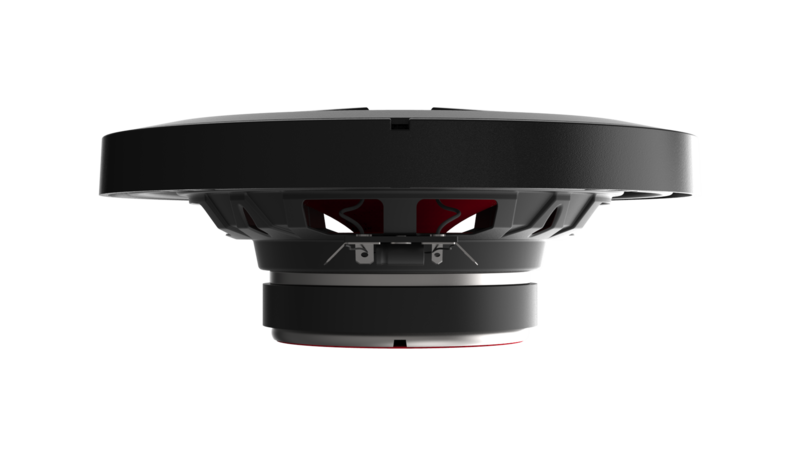 Silk Dome Tweeter - Durable material accurately reproduces high frequencies to deliver exceptional sonic clarity.